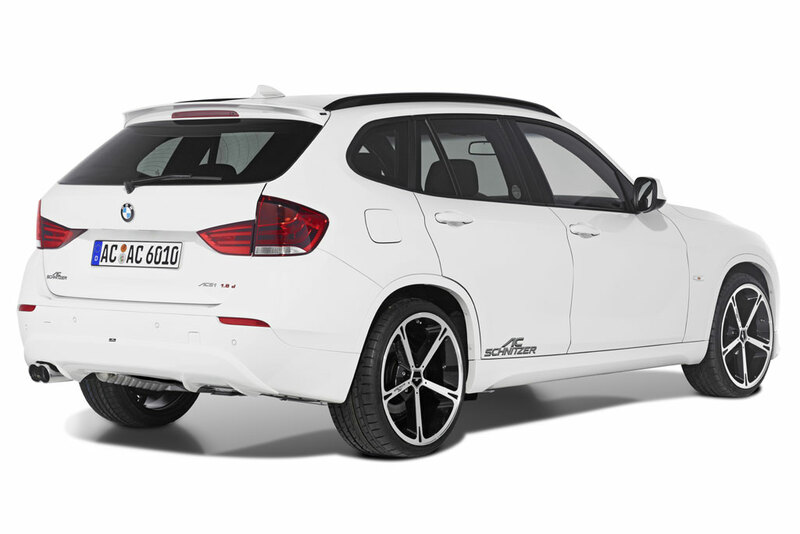 Acoustically, the sporting driving experience is enhanced by the AC Schnitzer sports rear silencer for the petrol X1 xDrive 28i (in development). 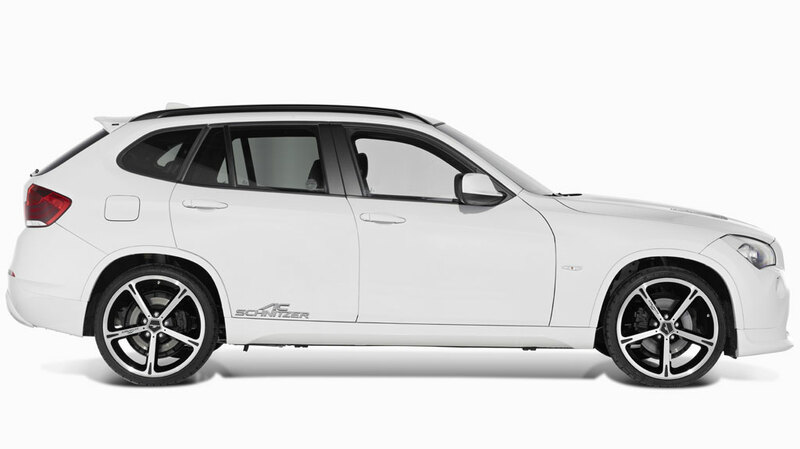 Visual elegance is provided by the chromed "Racing" tailpipe trim which is also available for all other models. 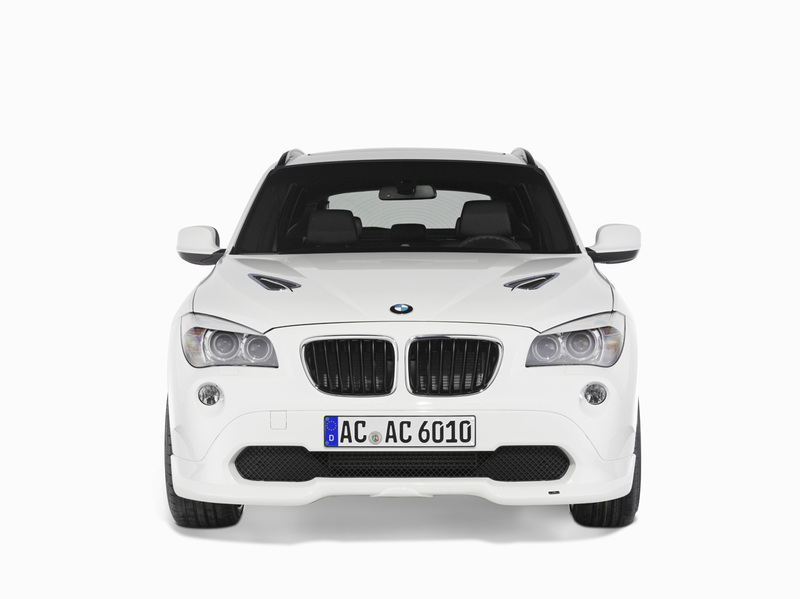 Impressive design elements also lend a sporting and youthful note to the interior of the BMW X1 by AC Schnitzer. These elements include silver "Exclusiv" carbon interior trim, illuminated leather gear knob, aluminium gear knobs with or without digital gear display, "Black Line" aluminium cover for the i-Drive system controller, aluminium handbrake handle and pedal set, foot rests and velours foot mats. 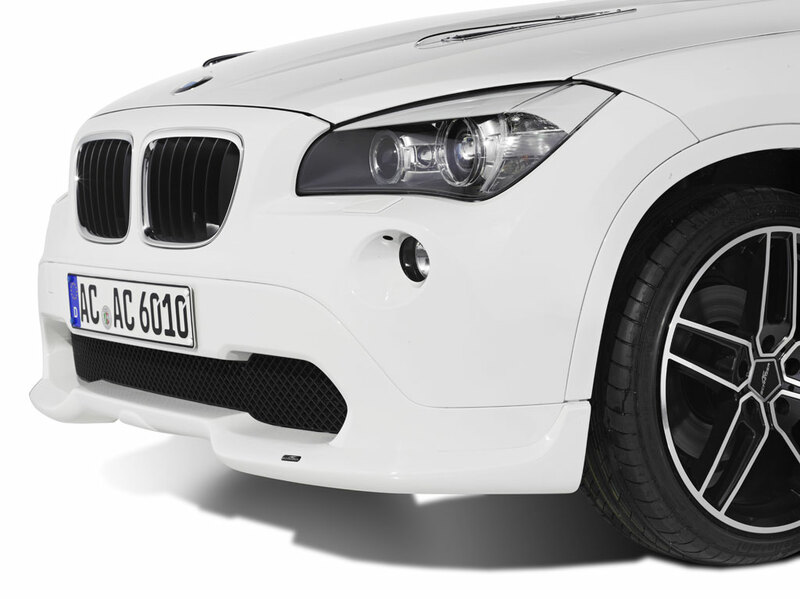 The finishing touch comes from a set of attractive wheels, so the X1 retains its stylish appearance not only on twisty or changing terrain, but also outside a fashionable cafe. 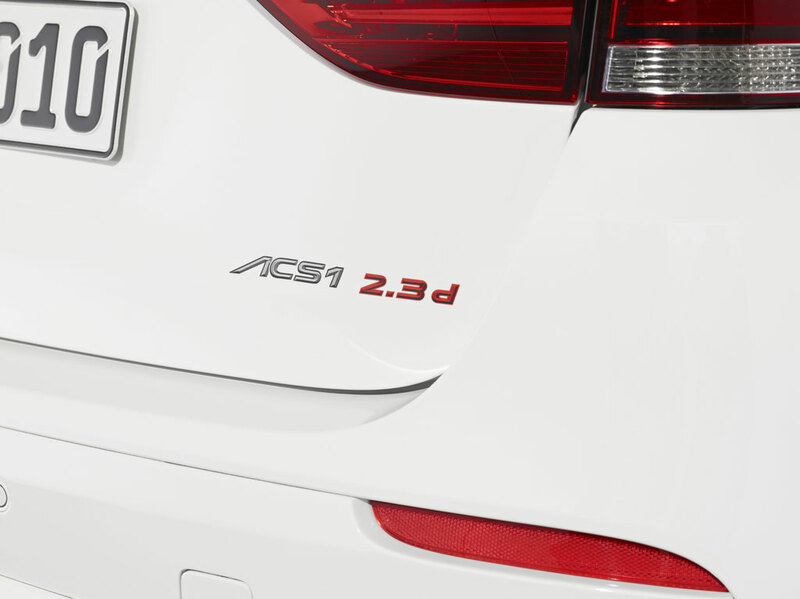 An ideal choice is the brand-new Type VIII wheel in 19". 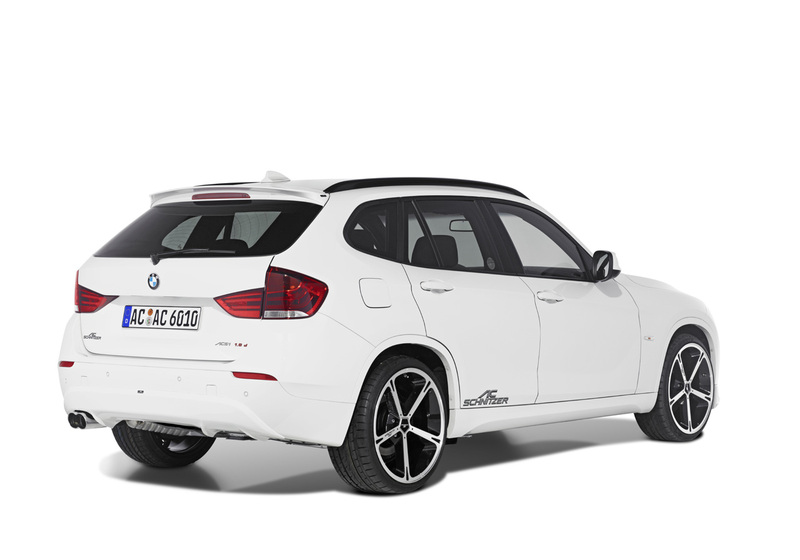 The new wheel with its 5 double spokes in BiColor Finish is an evolution of the well-known Type VI wheel, and complements perfectly the styling language of the BMW X1. 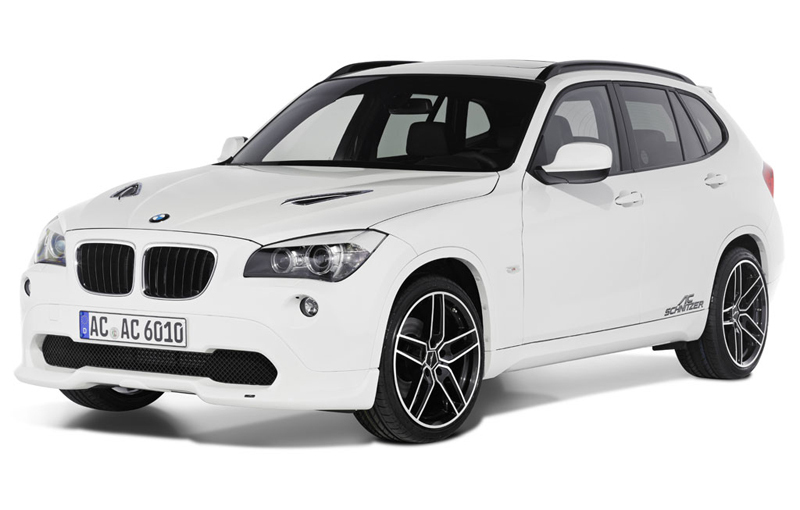 AC Schnitzer Type IV wheels in silver or in BiColor in 18, 19 or 20 inch, together with the Type VI rim in 18", complete the range available for the BMW X1. 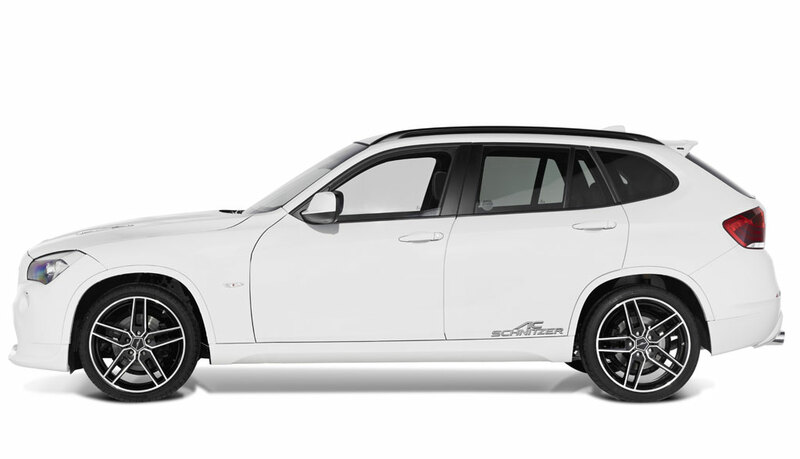 Way too many "AC Schnitzer" badges plastered on the outside. One small badge on the rear hatch would have sufficed. 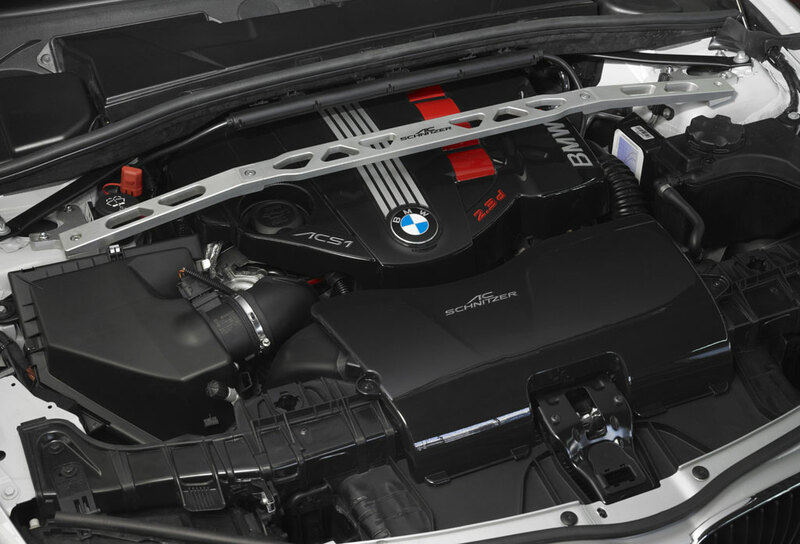 Tasteful touches on the engine bay (love the look of the strut bar) and the interior of the cabin is very sleek (beautiful pedal set, mats, carbon trim).